Sellers now have such a huge selection of unique and high quality images to choose from for the products they create and many have become clipart hoarders (which is completely fine by me..lol). 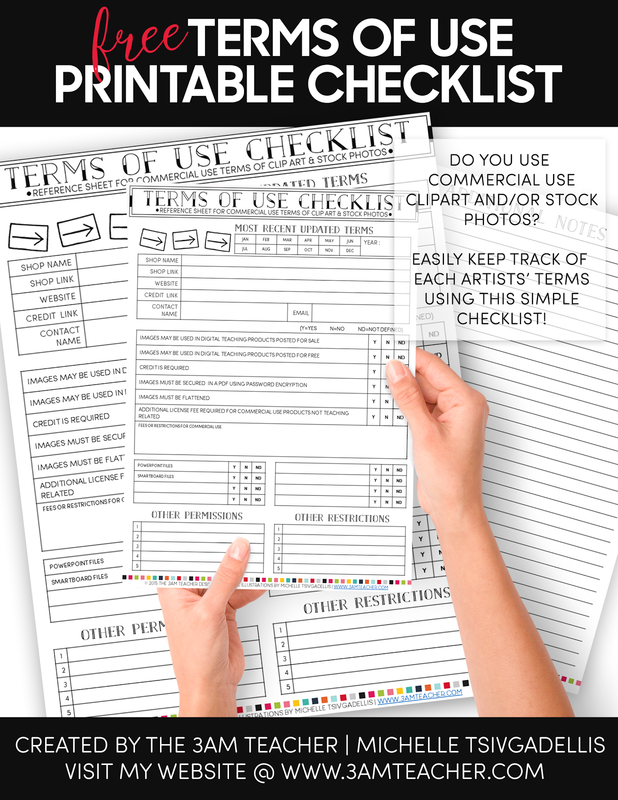 I recently came across a fairly "new" shop (or it seemed new) offering free downloads of images that were copyrighted images she found on the web and put into one free file to offer from her shop as her own creation. This is absolutely unacceptable and illegal by the way. Buyers who download the free images left comments to "thank" the seller for her generosity and showered her with complements,completely unaware that the images they just downloaded were stolen. This sort of unethical behavior just drives me crazy. For one, it harms both the seller's integrity AND it puts the buyers at risk of also being sued for copyright infringement for using images they do not have permission to use. For one, that site is a treasure trove of stolen images they have no right offering from their site... and I have had to battle with the site's domain host on several occasions to get my images removed. Take a peek at that site and they clearly state in their terms that they are NOT giving users permission to use the images and that they do not claim to own the rights to any and all of the images that can be found on the site. They steal images from many artists I know personally and the ONLY purpose they are doing this is to DRIVE traffic to their site to earn free ad revenue! In my opinion, the site should be taken down based on the amount of complaints they have against them, but it is going to take some serious cash and a legal team to really make a difference with sites doing like this. This TpT seller and her "super cute art" (according to the feedback left on her shop) seems to think it's alright to steal images from any site on the web, place those images in a downloadable file and offer them from her shop. One of the other bundled clipart sets she was offering did not include the small credit to the site she stole the images from. It seems strange to me that someone would not notice that every single image in the set was completely different style, resolution, and line styles. I was mostly amazed that not one of the comments in the ratings even mentioned or seemed to take note of the lack of terms for using the images she was giving away for free. Instead, they downloaded the freebie without thinking and thanked her for her generosity!! This seller, without any hesitation, took the credit and thanks for offering the stolen images. Secondly, and probably even more important..... many of those shops that offer stolen clipart for free might be giving you a computer virus within the downloaded freebie... SURPRISE!!! Just because something is free does not mean you should download it onto your computer without doing a little research ahead of time. Read the description... it only takes a couple of minutes and if it seems peculiar or is lacking details, then you most likely should pass up the freebie with a NO THANK YOU!! 1. If every image in the set is a completely different artistic style and appears to be drawn by several different artists, chances are... each image probably was drawn by a different artist. 2. If some of the images look familiar, do a quick Google image search using some of the keywords or title words used by the seller. Chances are, you will quickly spot where those images came from if they were, in fact, stolen. 4. Ask a reputable and trusted artist what they think.... trust me, I never tell anyone who not to purchase clipart from, but I will honestly tell you to be careful. 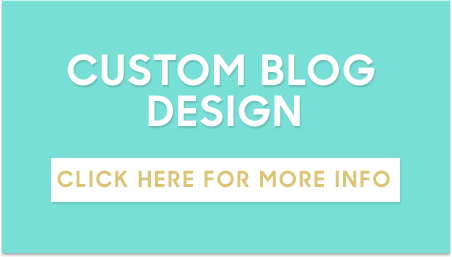 I will be booking my very last bunch of custom blog designs for the month of August and then I will be taking a long break from custom design work for a while. I look forward to working with all of you!! I think this is a great blog post!! I don't do any of the crazy things you mentioned to my knowledge, but as someone that is fairly new to the blogging community and TPT this is extremely eye opening and helpful!! I appreciate you taking the time to post this and provide us with such a useful tool!! Downloading it now and printing out a bunch of copies to get me started tomorrow!! Saved the post on blog lovin!! Thank you very much for this informative post. I actually began creating my own clip art rather than buying some because of fears of this exact thing occurring. I do wonder though, you are warning teachers against buying from stores whose terms are too vague, so what do you think is too vague? I ask because I have a handful of images I created for sale and my terms are just, for personal and commercial use with a credit back on commercial use. I'm sure that must be too vague. What do you recommend as the level of detail in a TOU statement so that it os clearer that the images are not stolen? It sounds to me like your terms are clear. AND you made your own clip art, so it's all good. Michelle is talking about people reselling stuff they have amassed rather than made, if I understood properly. Thanks for sharing this post! Very important for everyone using TpT consumer & producer! The flood of sellers & products has become so overwhelming it is helpful to have the tools you have created; Hello Planner & this form~Oh. My. Goodness~ Just counted how many Clipart/Graphics Designers folders I have 130! No wonder I'm not moving forward with creating stuff~I'm to busy collecting & trying to manage what I do have!! Time to use what I have & the designers I have & NOT get sucked in by FREE!!! Thanks again Michelle, I look forward to meeting you in July...I plan to Tweet this post! Thank you!!! I'm sharing this on my Facebook page so we hopefully get the message out and stop this kind of thing! Thanks so much for posting this, Michelle. I know EXACTLY what you're talking about... an ongoing issue. This was really well-written and I've shared on Facebook in the hopes of getting the word out. Thank you for bringing attention to this! I need to be diligent in checking; I would never do this, so I struggle to understand how people think this is ok. Ugh. I'm linking this blog post to my Links and Lattes post. Hopefully word gets around!